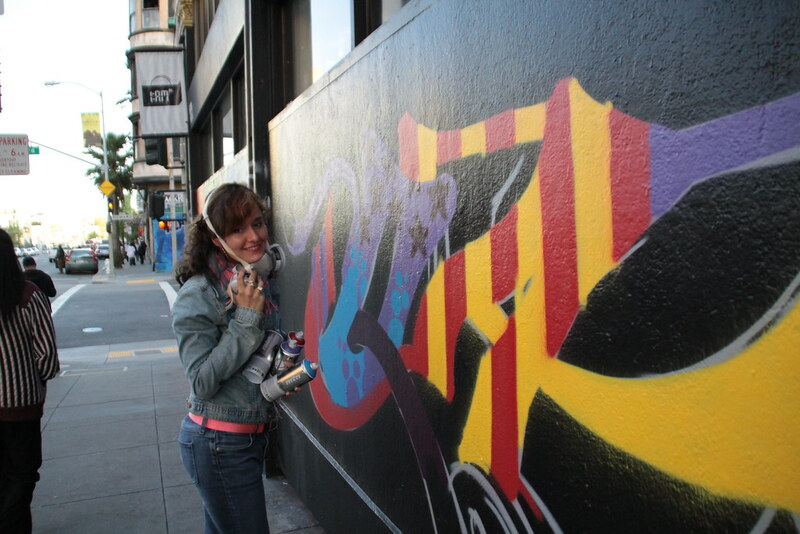 Queen Andrea, aka Andrea von Bujdoss, is the WonderWoman of the urban art world. 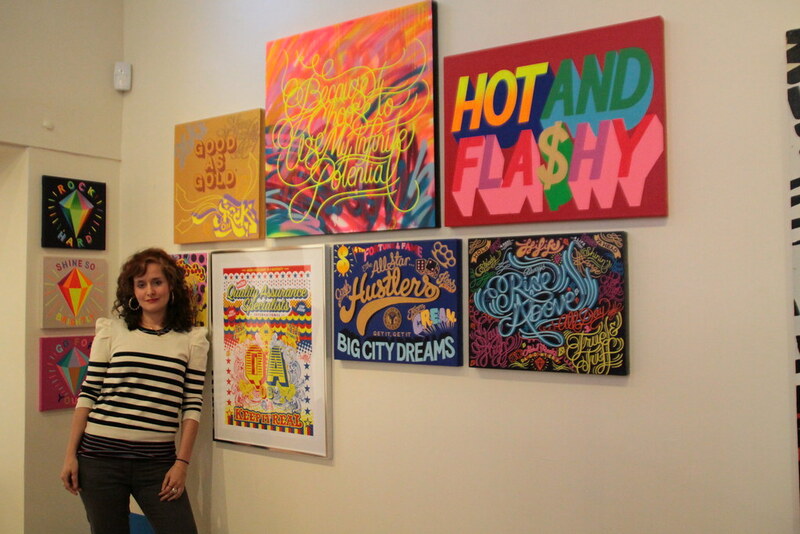 She is one of the curators of our show tonight, Graphic Attack! and also a participating artist. 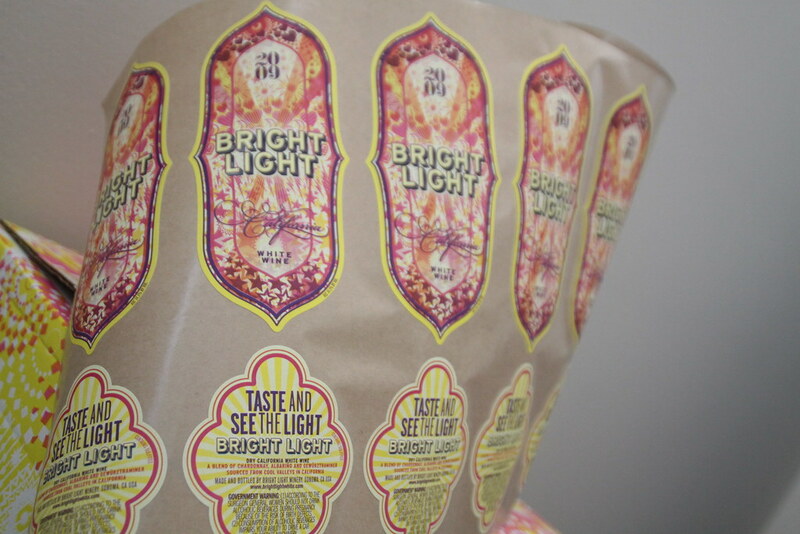 To top all of that, she designed the labels for our wine sponsor, Gundlach Bundschu‘s newest line Bright Light. 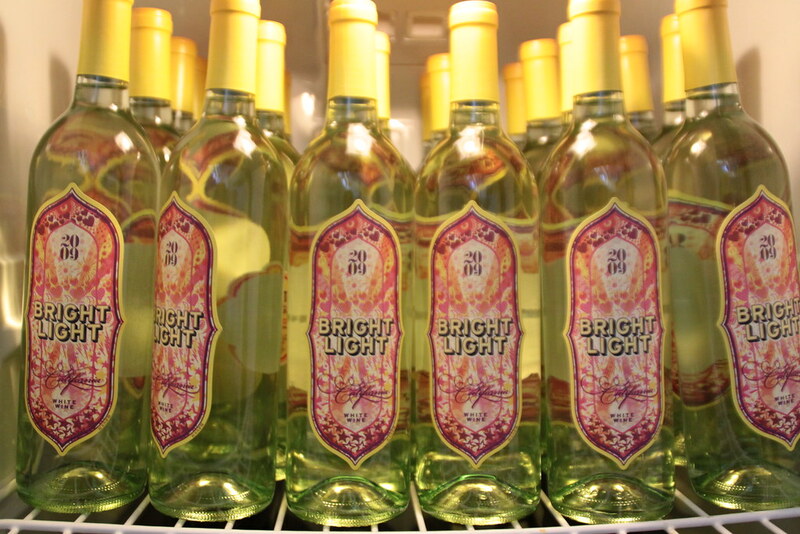 Guests tonight will be able to taste, the never before released, Bright Light Dry California White Wine. If you get here early, you may one of the first people EVER to taste it. Queen Andrea going wild style with the natives on 6th! Visit Andrea’s website, SUPERFRESHDESIGN.com, to see more of her work. Come by 1:AM tonight and be amazed by Queen Andrea’s creativity! « CERN IS BACK FOR GRAPHIC ATTACK!